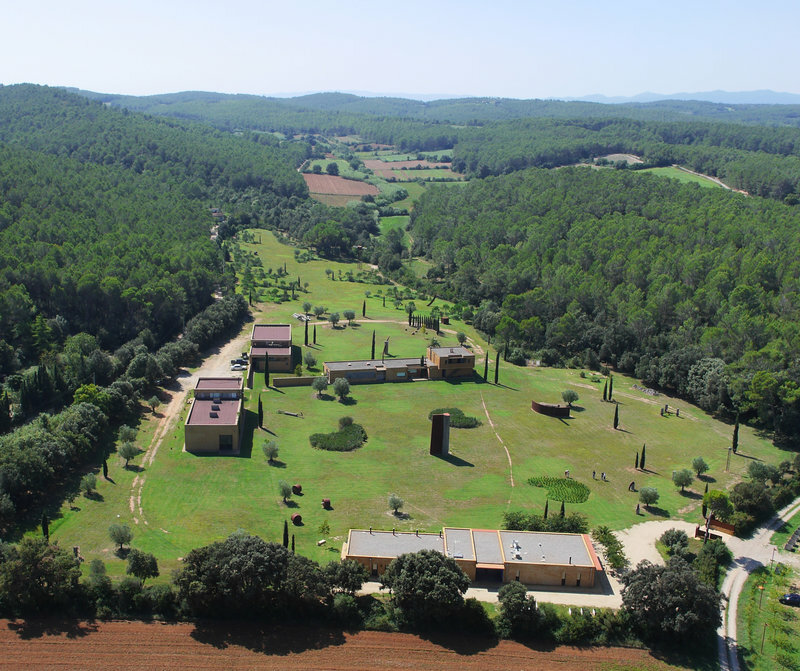 ART IN THE WILD: MAIN IMAGE: AERIAL PHOTO OF L’OLIVAR COMPLEX. LEFT: ARTIST ENRIC PLADEVALL. 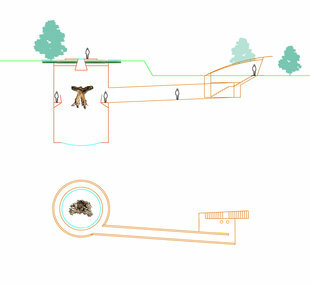 INSET: A PLAN OF THE CRYPT ENRIC NOGUER. A crypt at L’Olivar Arxiu. 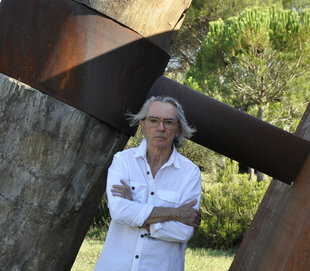 When he was about to turn 50, Enric Pladevall (Vic, 1951) came to the conclusion that while he had been very fortunate in his life in being able to display his work in art galleries all over the world, and in gaining a certain reputation in the art world, the market was changing and he would have to look for another outlet for his creativity that went beyond showing his work in occasional exhibitions in art galleries. “At that time, I found the competitiveness in the art world to be brutal, and I am aware that in the world of art some 80% is marketing. Simply having quality is not enough by itself. On the global level, 50 organisations control most of it, among whom are the large museums and galleries, where everyone wants to display their work. I then realised that I had to decide whether to compete and fight to get into those galleries and museums, something that is not easy at all, or to devote myself to an artistic project that would satisfy me but that was more achievable,” he says. So, Pladevall decided it was time to leave the conventional art circuit behind him, and come up with his own artistic project. 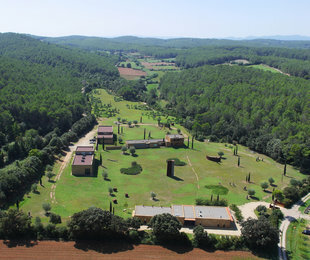 That led him to purchase L’Olivar Vell estate in Ventalló, in the area of Alt Empordà. Then, in 2004, he decided to move to the estate with his family and, little by little, he turned the space into his home, as well as a place to display his artwork. As if they were just part of nature, giant sculptures made of metal and wood began to appear around the estate, until there were some 29 different works (as part of a project that aims to create more than 40 pieces, including a lake of sculptures). Today, L’Olivar Vell complex also boasts a small hotel, with four bedrooms and a swimming pool, as well as a space for carrying out cultural activities and performances. The site has also hosted a number of artists’ residencies. However, L’Olivar project is still a work in progress, and the piece that will bring the creation of the large artworks in the project to completion will be a crypt. “As I have felt an organic connection to wood from an early age, a crypt with an olive tree in it seemed natural. It is the most ambitious project I have ever taken on,” he says. The tree will be buried in a crypt that is 11 metres deep and eight metres in diameter. All the material used will be iron, and it will be accessed through a tunnel that will begin 23 metres away from the crypt itself. Only two people will be able to go inside at a time, and they will first have to take off their shoes, because it will be a space for reflection. The olive tree will hang upside down, with the roots pointing upwards to the ceiling and the branches pointing downwards, so that they will be seen reflected on the surface of a pool of water, which will act as a mirror. Pladevall estimates that the work will be ready in a couple of years.